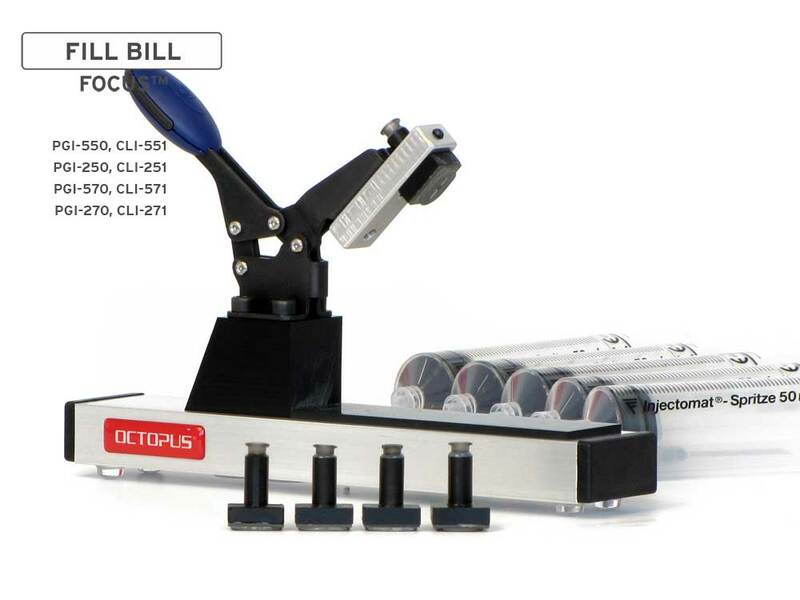 Easy-to-use refill tool for PGI-550, PGI-570, PGI-580 and CLI-551, CLI-571, CLI-581 cartridges. For refilling with the vacuum method, incl. 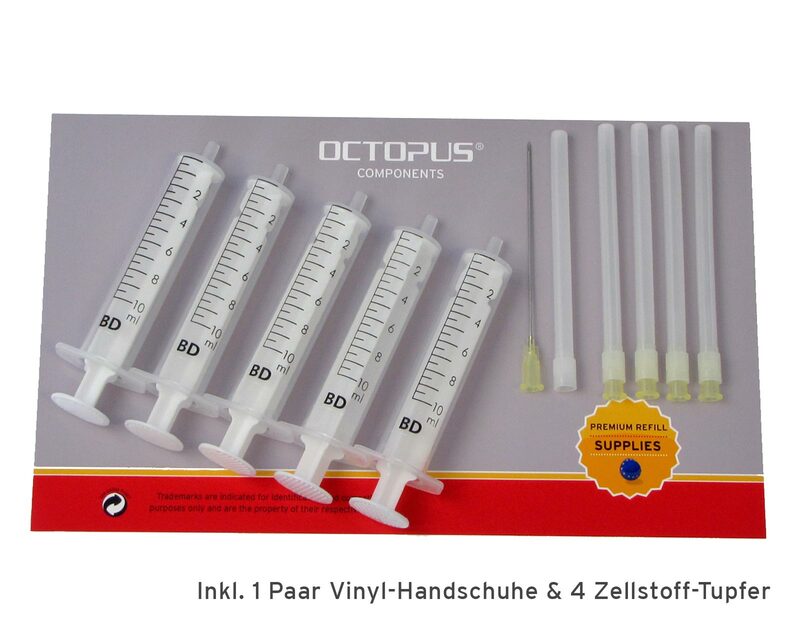 fill cuffs and refill syringes.